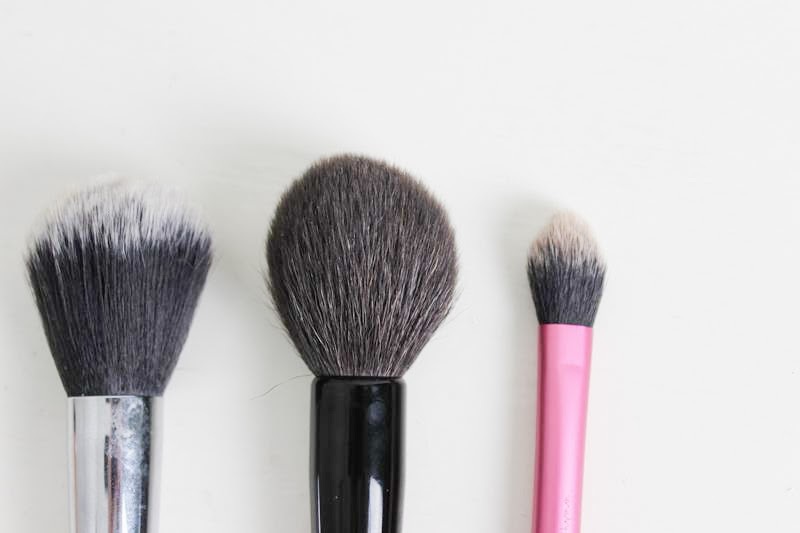 This post is going to show you the brushes I use for various powder products, including powder, bronzer, blushes and highlighters. I am planning to write a foundation brushes and eye brushes post to follow this one, so please let me know if that would interest you! 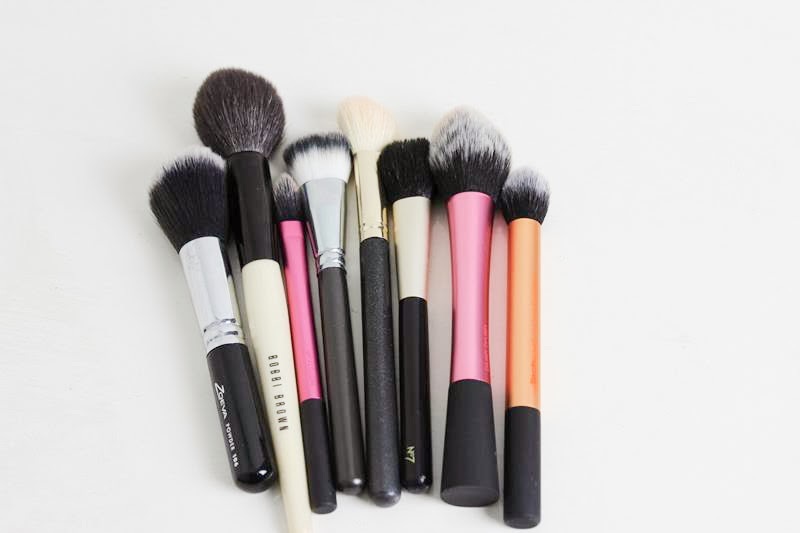 The Zoeva Powder Brush is what I would call a traditional shaped powder brush. It's big, fluffy and round. I find this buffs powder in nicely but sometimes I think it's too dense and can move product underneath. My Bobbi Brown Powder Brush is definitely my favourite for applying powder. The shape is tapered which I love as I find it dusts powder on my face without leaving it looking heavy or cakey. The only negative about this brush is that it sheds a little bit when I use it. Finally is my little Bobbi Brown Setting Brush. I use this daily for applying powder under my eyes and a little bit around my nose. The shape is perfect for underneath my eyes and it's so soft and delicate. 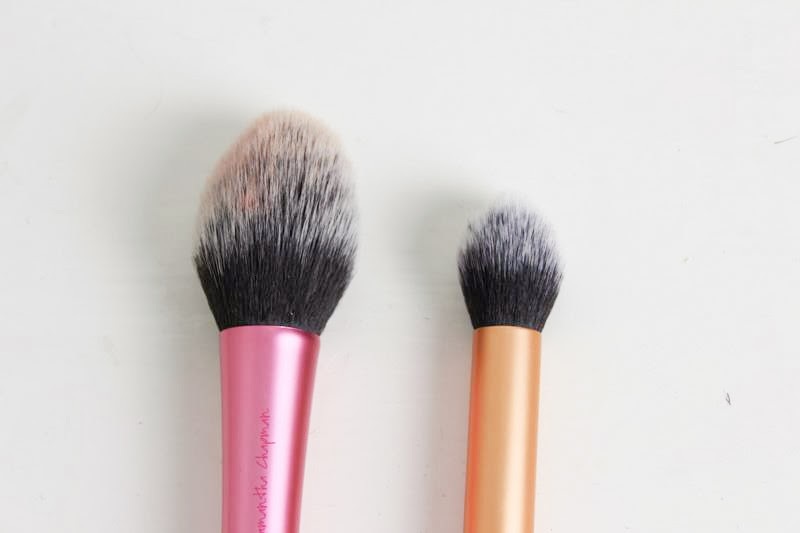 The Crown Blush Brush is my favourite for applying blushers, especially cream ones. I find it doesn't soak up any product, so gets it all onto my cheeks and then blends it nicely. It's incredibly soft and one of my favourite brushes to use. One of my other favourites is the Mac 168, which is an angled blusher brush. I like that this is cream as I find it easier to judge how much blusher I have put on the brush! This is a lovely shape for sweeping the blush from the apples on my cheeks, up towards my temples slightly. 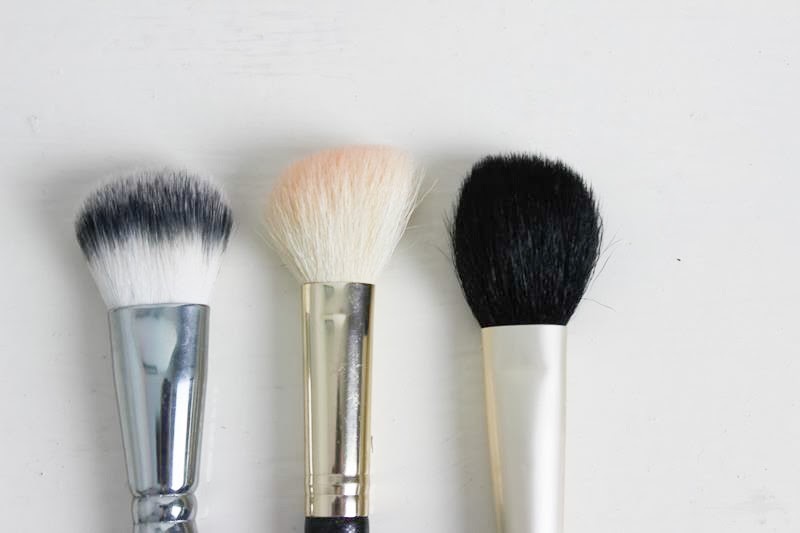 My other favourite brush is the No7 Blush Brush. This is the perfect shape and size for applying blush onto the apples of my cheeks. It isn't as dense or soft as the others, but it blends the product very well and leaves it looking quite subtle. I don't find it ideal if you want to pack a lot of colour on, however for a natural dusting of powder, it does the job nicely. My favourite brush for applying bronzer is the Real Techniques Blush Brush. I personally find this too big for blush, as I only apply a small amount of blush onto the apples of my cheeks. This is brilliant for bronzer though. I sweep this along my cheeks, onto my forehead and dust it across my nose. This is tapered, so I find it blends the product as I am applying it. My final brush is the Real Techniques Contour Brush. I like using this to apply highlight onto my cheekbones. I would say this is the same shape and softness as the blush brush, just a mini one! I find this applies highlighter nicely as it blends the product as I apply it. I am easily convinced into trying new brushes, so let me know if you have any that you would recommend! For powders all I use are my bare minerals brushes. I might need to stock up on some more. I love Real Techniques brushes ! I just bought the starter set (and I did a blogpost about that) :) They are amazing !